Ross & Cromarty Roots | Kenneth & Mary (Nicol) McPhail, s. William. Kenneth & Mary (Nicol) McPhail, s. William. 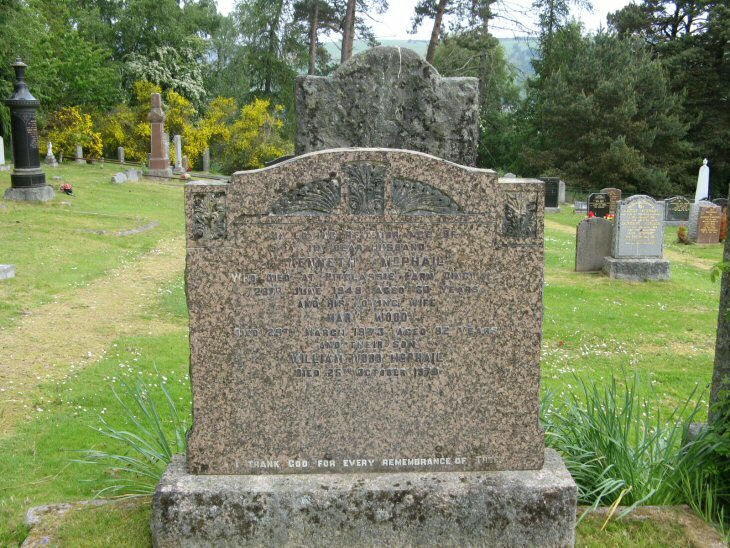 In loving remembrance of/my dear husband/KENNETH McPHAIL/who died at Pitglassie Farm, Dingwall/29th June 1948 aged 60 years/and his loving wife/MARY NICOL/died 29th March 1973 aged 82 years/and their son/WILLIAM WOOD McPHAIL/died 25th October 1970. I thank God for every remembrance of thee. Picture Added on 04 July 2010.